Just 23 percent of U.S. eighth-graders are “proficient” or above in knowledge of American civics, according to the “Nation’s Report Card,” released this week by the National Assessment of Educational Progress (NAEP). For a nation governed by the people, for the people, this news is deeply troubling. Democracy takes work. It requires knowledge, interest and vigilance from its citizens to remain healthy. If less than a quarter of young people meet only baseline standards of proficiency, and two-thirds are unable to identify America as a democracy, the future looks bleak. But is it any wonder that U.S. students are struggling in social studies? The curriculum rarely engages them. A 2010 study from the University of Central Florida found 74 percent of middle school students dislike social studies class due to the emphasis on reading from the textbook, rote memorization and note taking. Democracy, by its very nature, is participatory. 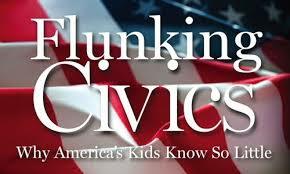 Should our children not learn civics the same way they will someday practice it? A proven method for filling that gap is competitive debate. Numerous university studies have demonstrated that debaters out-perform their peers by nearly every conceivable measure, including grades, test scores, reading level, critical thinking skills, understanding of controversial issues and enthusiasm for learning. Unfortunately, only 17 percent of middle school children are ever given the opportunity to “take part in debates or panel discussions” in their social studies classrooms, according to NAEP. Through its Debate Central program, the National Center for Policy Analysis aims to reverse this trend.